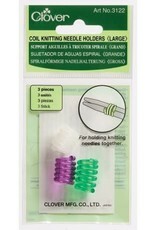 Coil Knitting Needle Holder - Large 3122 - Woolly&Co. Bring order to your needles and convenience to your knitting! 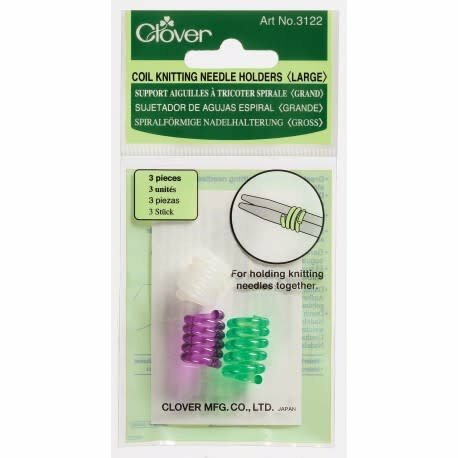 These Clover Coil Knitting Needle Holders are a superb solution for mismatched needles. Each coil winds tightly around a pair of needles to hold them together, while the bright colors make it a breeze to find the pair you’re searching for.